From stunning examples of Gothic revival to Brutalism’s giant box-like constructions, the world’s most impressive law school buildings span decades and even centuries. With modern marvels like Frank Gehry’s Loyola Law campus and the new University of Sydney Faculty of Law building, and traditional structures like Yale Law’s Sterling Law Building, these architectural giants were chosen for their ingenuity, aesthetic beauty, and commitment to creating an environment that honors the history and study of law. Many of these buildings house some of the world’s most prestigious and selective law programs, and a number of them set a precedent for green building standards and solutions. Image SourceFounded in 1983, the City University of New York (CUNY) School of Law in Long Island City was relocated in 2012 to their current 2 Court Square location. Owned by Citigroup, the 14-story building is one of the greenest in the country achieving LEED Gold certification. The renovated 260,00 square feet that once functioned as condominium housing has been transformed into classrooms, library space, and faculty offices. The modern structure has a curved glass exterior, 90% of the structural steel used in construction came from post-consumer recycled steel, and the facility utilizes a 20,000-gallon rainwater harvesting system to improve energy efficiency. Image SourceThe Sterling Law Building was designed and completed in 1931 by James Gamble Rogers, and is known as the heart of Yale Law. The collegiate Gothic style emulates 12th century French and English cathedral architecture and includes sweeping stone arches, dramatic stained glass details, and a breathtaking stone façade. Gargoyles and stone sculpture decorate the structure, which houses the law school’s classrooms, dining hall, library, and faculty offices. A daycare is also located onsite and the building itself is named for Yale benefactor and graduate John William Sterling. Image SourceA stunning glass exterior and giant stainless steel fin act as the defining characteristics of this newly erected structure, which houses the University of Sydney Faculty of Law. Completed in 2009 and designed by FJMT (Francis-Jones Morehen Thorp) Architects and Bauderstone Pty Ltd., the building incorporates curved ceilings, a large glass atrium, and a light tower to help cool and ventilate the structure. The architects incorporated energy efficient lighting solutions as well as the use of abundant natural light to create an educational environment that simultaneously inspires and comforts. Image Source Founded in 1895, the University of Pittsburgh Law School is one of the oldest in the nation. Opened in 1976, the six-story Barco Law Building exhibits many of the defining characteristics of Brutalist architecture, a movement spearheaded in the middle of the 20th century by the Swiss architect LeCorbusier. Characterized by strong lines and heavy materials, the Barco Law Building stands as a fortress within the city. Named for George J. Barco and his daughter Yolanda G. Barco, former graduates of the institution, the building was designed by Johnstone, Newcomer and Valentour. Home to the Barco Law Library, which houses nearly 425,000 volumes, the structure also contains classrooms, offices, and the Teplitz Memorial Moot Courtroom. Image SourceFrequently rated as one of the top three law schools in the United States, Stanford Law School first offered its legal studies curriculum to students in 1893. From the beginning the school’s program was noted for its emphasis on cultural diversity and its low student to faculty ratio. The Neukom Building, which was completed in 2011 and was designed by Ennead Architects, incorporates quiet study areas for students as well as collaborative spaces to encourage discussion and communication. The designers also sought to reduce the 65,000 square foot structure’s environmental impact by installing ceiling fans for ventilation and large glass windows to maximize natural daylight. Image SourceSet to open in the fall of 2014, Fordham University’s new law school building is located on Manhattan’s west side. Designed by Pei Cobb Freed and Partners, also known for their design of the Louvre Pyramid and the National Gallery of Art, the building is comprised of a large atrium, law library, and reading room. Founded in 1905, Fordham University School of Law campus is situated in thriving Lincoln Center and was designed to complement the neighborhood’s vibrant architectural backdrop. The new building doubles the current educational facility and includes clinic areas and common spaces to facilitate learning, exchange of information, and collaboration. 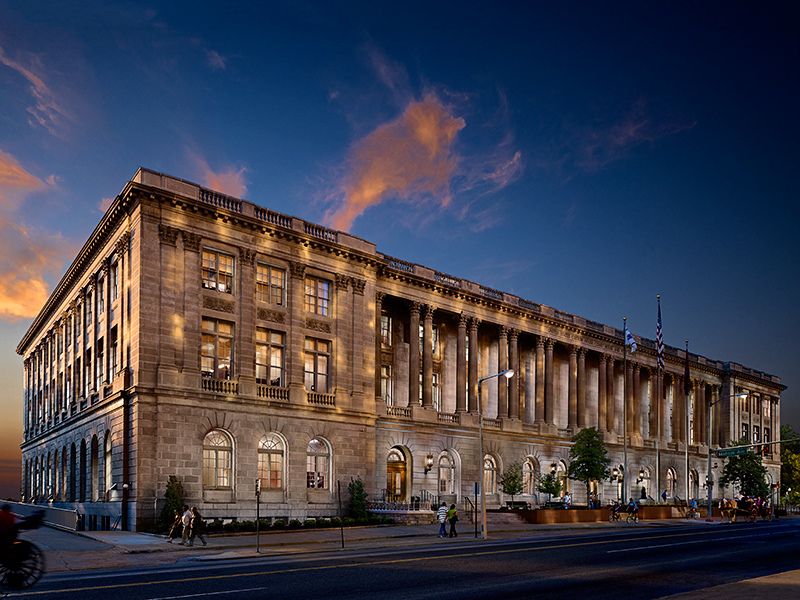 Image SourceCompleted in 2013, the John and Frances Angelos Law Center at the University of Baltimore stands as one of the city’s greenest and most energy efficient structures. 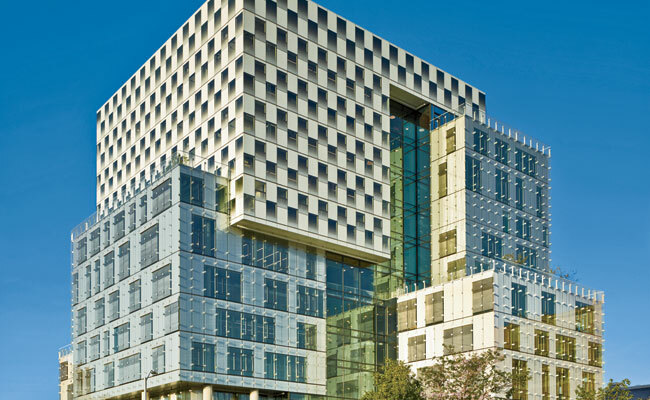 Large glass cubes intertwine to create this checkerboard-like building, which achieved a LEED Platinum certification from the US Green Building Council. The center features a rainwater-harvesting facility, green roof, and sunken garden with native plants. Also included in the structure is a non-emergency light shutoff system that automatically dims and reduces lighting after business hours, and fifty percent of the waste materials created during the building’s construction were recycled. Image SourceFounded in 1921, the University of Connecticut School of Law is one of only four public law schools in New England, and is the only public law school in Connecticut. The school’s early beginnings were founded in rented rooms at the Hartford Wire Works. Currently located in the former home of Hartford Seminary, the program’s home exhibits a collegiate Gothic revival style, which was designed by Allen and Collens of Boston, and is on the list of the National Register of Historic Places. Resembling 12th century French and English cathedrals, the structure showcases pointed arches and a stunning stone façade, characteristic of many on New England’s finest college campuses. Image SourceEstablished in 1868 as Trinity College School of Law and reestablished in 1924 as Duke University School of Law, this famous program frequently tops many of the nation’s top ten lists. Star Commons, one of the school’s most recent additions was dedicated in 2008 and is named for alumnus Stanley Star. The building’s signature three-story glass enclosure allows for more outdoor space and natural light, and includes the Beber Sculpture Garden and Marcy’s Garden, two components that promote quiet reflection. Refurbished classrooms provide students and faculty with cutting edge technology, and the newly renovated J. Michael Goodson Law Library houses the collection’s 625,000 volumes. Image SourceFormerly known as Boalt Hall and often referred to as Berkeley Law, UC Berkeley School of Law was established in 1894 as the Department of Jurisprudence. The campus’ recent expansion includes a space known as the South Addition, which was intended to house the library’s extensive and growing collection. The addition includes reading rooms, research space, a café, and student lounge. The design also incorporates a roof deck garden, and numerous floor-to-ceiling windows to allow for maximized use of natural light. 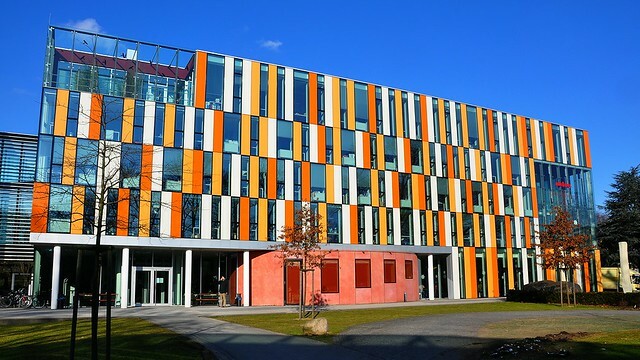 Image SourceKnown as Germany’s first private law school, Bucerius Law School is also regularly rated one of the country’s best. Established in 2000 in Hamburg’s city center, the school’s Hengeler Mueller Library was built in 2007 by the local firm MPP Meding Plan Architects. Home to nearly 85,000 periodicals, the structure’s magnificent colored glass façade was intended to mimic the books inside, and includes 450 work stations to facilitate learning. The library also includes a napping area, computer labs, and a theater, as well as a kindergarten. Image SourceFounded in 1892 as the Milwaukee School of Law, Marquette University Law School’s Eckstein Hall was opened in 2010. The $85 million structure houses four stories of smart classrooms and includes a trial courtroom, a law library, fitness center, and faculty offices. 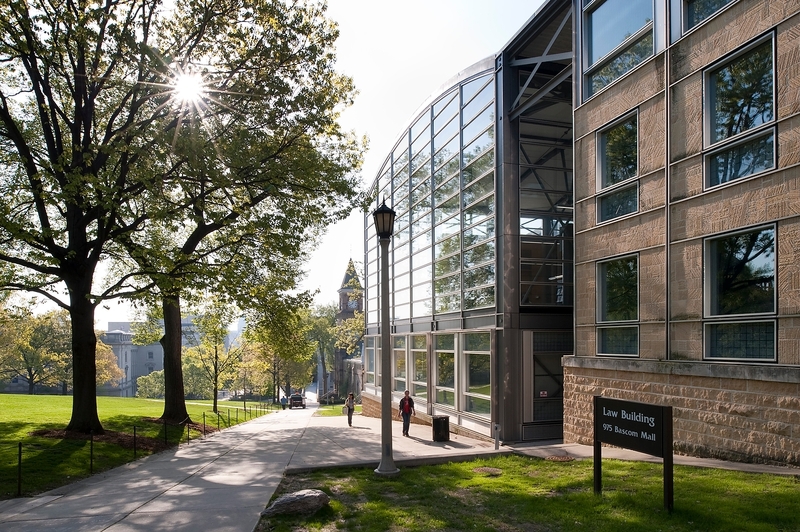 Named for donors Ray and Kay Eckstein, the building is also home to the Tory Hill Capfe as well as a chapel to offer students, faculty, and staff a place for quiet meditation. Image SourceBefore achieving international fame as one of the world’s most influential architects, Frank Gehry was asked to transform the Loyola Law School campus into a dynamic architectural space. The private Catholic university was founded in 1920, and the current architectural landscape redesign began under Gehry’s instruction in 1978. Bright colors, unconventional materials, and geometric shapes are featured throughout the campus and include the bright yellow façade of the Fritz B. Burns Academic Center and the large modern columns of Donovan Hall. With 75 full-time faculty and some of the nation’s most interesting architectural scenery, Loyola Law School offers a compelling addition to Los Angeles’ Westlake neighborhood. Image SourceOne of the first law schools in the United States, Columbia Law School is located just north of Central Park in Manhattan. 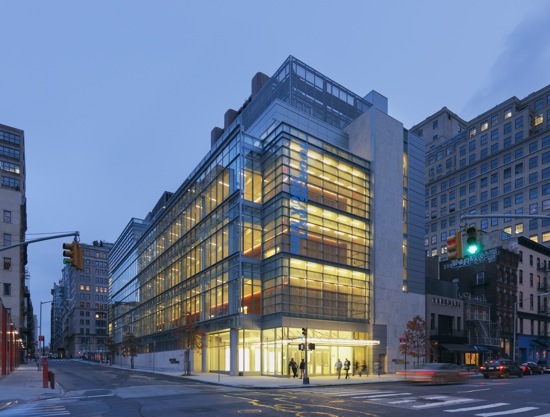 Originally opened in 1960, the Jerome L. Greene Hall underwent an extensive renovation in 1996 by Polshek Partnership (now Ennead Architects), and again in 2008. The recent addition, designed by Paul Segal Associates includes a lounge, café, and outdoor terrace as well as 29 faculty offices. Home to the Arthur W. Diamond Law Library which houses over one million volumes, Columbia Law School is one of the most prestigious in the world and has graduated distinguished alumni, notably Theodore Roosevelt and Ruth Bader Ginsburg. Image SourceWith multiple satellite campuses across the state of Michigan and a new campus in Tampa Bay, Florida, the Thomas M. Cooley Law School is one of the most extensive private law schools in the country. Established in 1972 in Lansing, Michigan, the institution’s Auburn Hills campus recently received LEED Silver certification. Renovations to the existing structure and an additional 64,000 square feet were designed by SHW Group architects and engineers, and include a green roof, rainwater-harvesting system, low flow plumbing, and an energy efficient lighting system. Currently the only law school facility in Michigan to be recognized by the US Green Building Council, building architects also sought to maximize light and air flow throughout the structure with large windows and open spaces. Image SourceLocated in Seattle, the University of Washington School of Law opened in 1899. 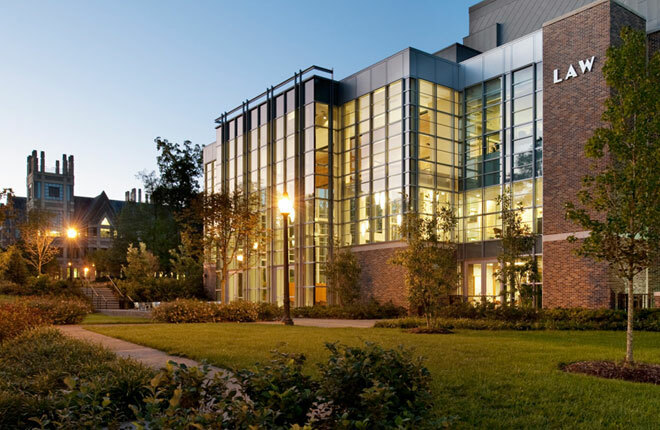 Named for the father of Microsoft founder Bill Gates, the William H. Gates Hall was opened in 2003. Designed by Kohn Pederson Fox and Mahlum Architects, the nearly 200,000 square foot building was partially funded with help from the Bill and Melinda Gates Foundation. With stunning glass elements and artworks throughout, including sculpture by Doris Chase and Takuji Yamashito, the building is located in Seattle’s University District. Also housing 655,000 volumes, the Marian Gould Gallagher Law Library is available to students, faculty, practitioners, and offers numerous reading rooms and smart classrooms throughout the facility. Image SourceLocated on 160-acres of pristine rolling hills and verdant green spaces, the Department of Law and Criminology at Edge Hill University has nearly 130 years of history. The recently built Business and Law building stands as a model of green building for the Europe and received Green Flag status for UK parks and green spaces. With energy efficient lighting, modern classrooms, and a 100-seat lecture hall, the facility encourages social and interactive learning between students and faculty. Designers accessed the space’s natural light with large windows, and the three story structure functions as an example for state-of-the-art green building solutions. 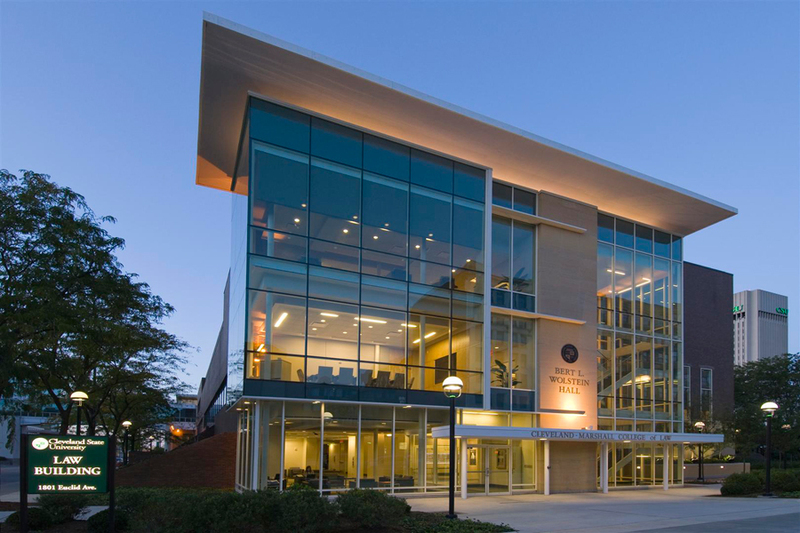 Image SourceConsistently ranked within the top fifty law school programs in the United States, the Florida State University College of Law completed construction on their Law Advocacy Center building in 2011. Part of FSU’s Green Building Initiative, the advocacy center is LEED Silver certified and includes low-flow fixtures and an energy efficient lighting system. 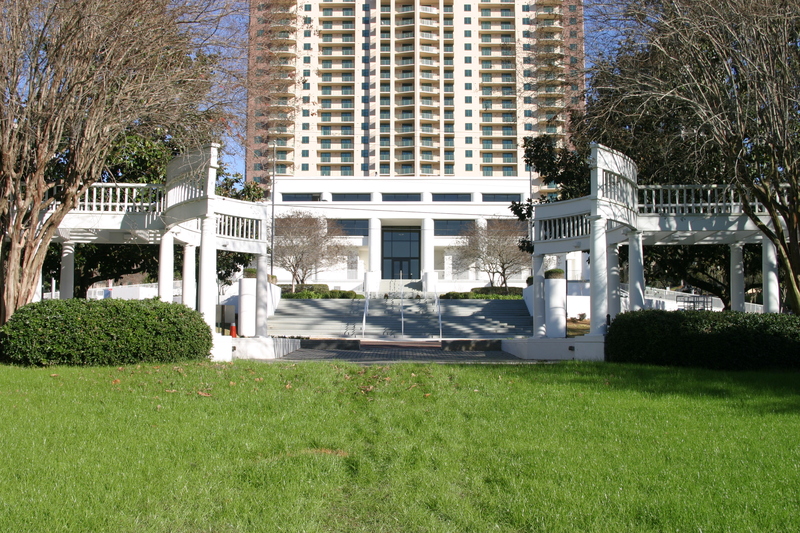 As part of the larger college of law campus, which includes four historic homes and the famous D’Alemberte Rotunda, frequently used by the Florida Supreme Court, the new advocacy center is situated along a lush greenway and acts a model for the university’s green building campaign. Image SourceFounded in 1819 by Thomas Jefferson, the University of Virginia School of Law is the fourth oldest active law school in the country. Renovated in 1997 by architectural firm Ayers, Saint, Gross, who also designed the Angelos Law Center at the University of Baltimore, the $35 million facility includes the Caplin Pavilion, Clay Hall, the Withers-Brown Hall, and Slaughter Hall. The Caplin Pavilion is the school’s primary ceremonial area, and the Arthur J. Morris Law Library contains over 880,000 volumes. Image SourceFrequently rated as one of the top law programs in the world, Harvard Law School’s 17-building campus recently completed Wasserstein Hall, a LEED Gold certified facility designed by Robert M. Stern Architects. The building incorporates large recessed windows, arched entranceways, and a variegated limestone façade as well as a student center and clinical wing. An 875-seat conference center and multiple classrooms facilitate an enhanced learning environment through collaboration, creativity, and teamwork. The 250,000 square foot building is arranged in a C-shape and centers around a courtyard; the facility is part of the first phase of Harvard Law School’s campus renovation project. 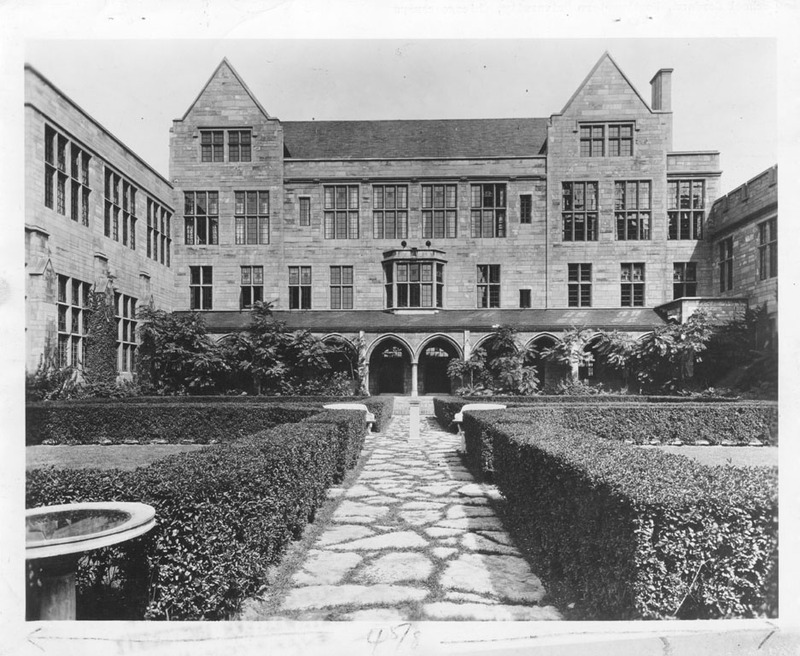 Image SourceEstablished in 1859, Northwestern University School of Law was built in 1926. James Gamble Rogers designed the law school’s building, which is covered with dark green ivy and dotted with stained glass. Constructed of Bedford limestone and dedicated in 1927, this Tudor Gothic structure was funded by Mrs. Rachel Mayer in memory of her husband, and has been an icon of the law school for nearly a century. The building is four-stories tall and has two three-story wings on each end. The Cloister Gardens flank the building’s southern arcade. Image SourceIn operation since the University of Texas was founded, the School of Law has been in operation since 1883, and is consistently ranked among the top 20 law school programs in the nation. Named for Governor John B. Connally Jr., a UT alumnus and benefactor, the Connally Center for the Administration of Justice was completed in 2000. 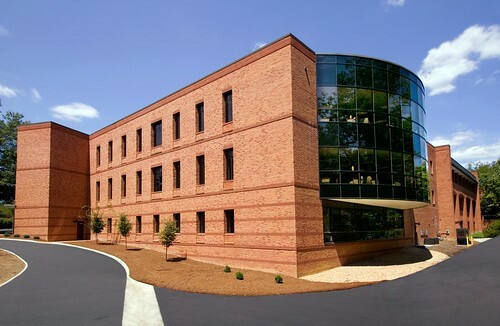 Connected to the law school’s Townes Hall, another four-story addition added 40,000 square feet to the facility and cost nearly $11 million. Designed by architectural firm 3D/International, Inc., the building is comprised of granite and limestone, and features a clay roof. Construction on the entire project began in 1995, and the building and its additions were dedicated in 2011. Founded in 1891 by Columbia College School of Law faculty, students, and alumni who were protesting their trustees’ attempts to dictate the teaching methods used by professors, New York Law School’s recent construction project is the first building project to be completed in lower Manhattan after 9/11. Construction began in 2006, and the $80 million building project, which included an expansion of the current facility, was completed in 2009. Designed through collaboration between Smith Group and BKSK Architects, the 5-story building presents a striking glass façade, which brings ample natural light to the interior. Image SourceFounded in 1897, Cleveland Law School merged with John Marshall School of Law, which was founded in 1916 to become the Cleveland-Marshall College of Law. Recently renovated, the Bert L. Wolstein Hall entrance offers a welcoming view to the once-windowless façade. With layered glass transparencies and light-filled open spaces, the new entrance provides scenic views of the city as well as comfortable conference rooms and a student lounge to facilitate interactive learning, community, and scholarship between students and faculty. Image SourceSyracuse University College of Law was founded in 1895 and is one of four law schools in Upstate New York. Home to the H. Douglas Barclay Law Library, the college boasts a sizable collection of documents and artifacts belonging to former Supreme Court Justice Robert H. Jackson. Located near the city’s University Hill neighborhood, Dineen Hall, the school’s modern educational facility is set to open in the fall of 2014. Designed by Syracuse University Architecture alumnus Richard Gluckman of Gluckman Mayner, the structure is seeking LEED Gold certification. The 200,000 square foot, five-story building will house the entire College of Law. Image SourceFounded in 1962 as Memphis State University College of Law, the Cecil C. Humphries School of Law is named for the university’s former president. Recently relocated to a former customs house built in the late 19th century, the facility underwent an extensive renovation and was reopened in 2010. Architect Bill Nixon took care to preserve many of the building’s original details including the decorative ceiling and an old federal courtroom. Placed on the National Register of Historic Places, the building houses a number of small study spaces and offices, and though updated for efficiency, retains much of its original Southern charm. Image SourceStunning and bold, the Lewis Katz Building at Penn State University’s Dickinson School of Law stands as a magnificent glowing light within the rolling hills and distant mountains of Central Pennsylvania. Completed in 2008, the 114,000 square foot facility has a number of environmentally responsible features including a green roof and it maximizes the use of daylight with large glass windows. Designed with LEED certification in mind, Ennead Architects created a large curving glass structure to enclose the law library, the heart of any university program. The building also houses numerous classrooms and a 250-seat auditorium. Large public spaces encourage interaction and teamwork among students. Image SourceThe largest law school in Indiana, the Robert H. McKinney School of Law was originally established in 1894 as the Indiana Law School. The university’s award-winning new building, Lawrence W. Inlow Hall, was designed by SmithGroupJJR and was completed in 2001. A campus landmark, the building’s prominent glass structure offers outside views from all of the structure’s interior spaces. The building includes a large central atrium and cutting edge technology in the form of metal sunscreens that control the facility’s intake of natural light. Image SourceFounded in 1830 as the Jackson School of Law and currently known as MC Law or MC Law School, the Mississippi College School of Law is located in historic downtown Jackson. A recent $6 million renovation project, completed in 2005 more than doubled the size of the existing campus by adding 70,000 square feet. The renovation and new building project include the addition of classrooms and a student center with large windows and a modern facade. The program at MC Law is known for its summer study abroad program for students. Image SourceThe UCLA School of law was established in 1950, and is frequently ranked as one of the top law schools in the country. Renovated in 1998, the Hugh and Hazel Darling Law Library is the home of nearly 600,000 print volumes and has a comprehensive collection despite the relatively young age of the school’s program. The facility’s Tower Reading Room offers 360-degree views of the city, and the large reading room offers panoramic views of the Santa Monica Mountains. The university is located in the Westwood neighborhood and is near to many of Los Angeles’ favorite tourist sites. Image SourceBuilt by Josep Lluis Sert during the 1960s, the Law Tower of Boston University School of Law is currently under a complete renovation. Along with restoration of the original structure, the Sumner M. Redstone Building, located west of the iconic tower, is set to open this summer. The 100,000 square foot, five-story structure will house state-of-the-art classrooms, more study space for students, and energy efficient facilities. New landscaping of the structure will include the incorporation of native and ornamental plantings, and will include an expansion of the Pappas Law Library. The Law Tower renovation will be completed in the fall of 2015. Image SourceThe George Washington University Law School was the first law school founded in Washington D.C. Established and reorganized in 1865, the campus is located within the Foggy Bottom neighborhood of the nation’s capitol. In 2000, a major renovation of the University’s existing structures maintained the original façade while simultaneously rebuilding the structure’s interior. Designed by Graae + Sparks Architects, the preserved façade includes the original President’s House and is just a short walk to the White House. Housing over 600,000 volumes, the Jacob Burns Law Library is also onsite, and provides students with ample space for quiet study. Image SourceEstablished in 2007, the Singapore Management University School of Law is the tiny country’s second law school. 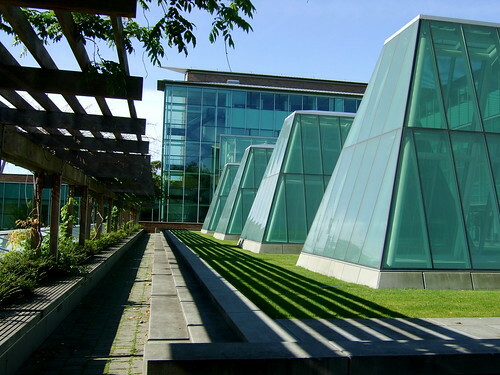 The University’s Li Ka Shing Library contains nearly 200,000 periodicals both print and electronic, and the building itself is a modern masterpiece of glass and greenery. Tiered levels of windows are covered with lush plantings, and the interior space offers students express workstations, natural light, and skylights. Set to open in 2017, the University’s new building project, the Kwa Geok Choo Library will provide a stunning accompaniment to a campus that already stands as a bastion of modern architecture. Image SourceFrequently ranked as one of the nation’s top schools, the University of Michigan Law School program is one of prestige. Founded in 1859, the campus recently underwent a complete renovation and expansion designed by Hartman-Cox Architects and Integrated Design Solutions. The project entailed creating a new 100,000 square foot South Hall to blend with the campus’ current Collegiate Gothic style architecture. In addition, the Robert B. Aikens Commons was constructed on an unused greenway between the Legal Research Building and Hutchins Hall. Leaded glass windows were installed to allow for plenty of daylight. The project was completed in 2011. Image SourceNew York City’s oldest law school, established in 1835, opened its Furman Hall building in 2004. Breaking ground just weeks after September 11th, the nine-story facility was designed by Kohn Pedersen Fox Associates, and incorporates architectural elements from two of the site’s neighboring buildings, the Judson House, and an 1830s row house. Located in New York’s thriving Greenwich Village, the building houses faculty apartments, classrooms, and study rooms, and shares space with the law school’s Vanderbilt Hall. The 175,000 square foot structure is covered with light-filled windows, and functions as a central hub of scholarship and education. Image SourceWith an over 800-year history, the University of Oxford’s Faculty of Law remains one of the UK’s best institutions of legal education. Opened in 1964, the St. Cross Building has been the primary home of the University’s law department, as well as the home of the Bodleian Library. Designed by Sir John Leslie Martin, a follower of Le Corbusier, and Colin St. John Wilson, the St. Cross building is a model of Brutalist design. With large, horizontally oriented metal-framed plate glass windows, and an iconic monumental staircase, the building was partially renovated in 2011. 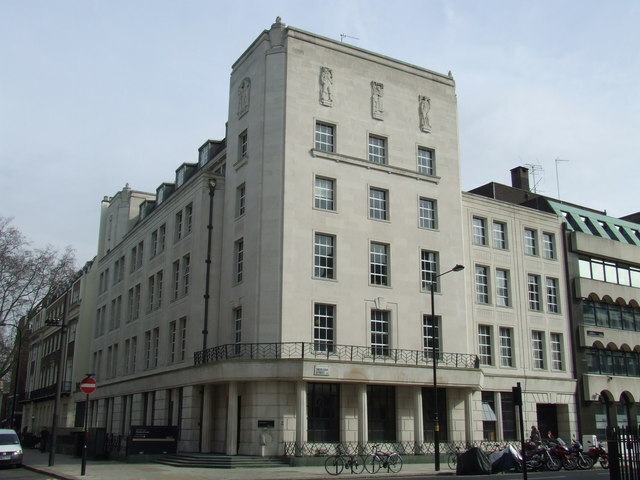 Image SourceEstablished in 1826, the Faculty of Laws at the University College of London was one of the country’s first to admit both men and women. Named for famed British philosopher and reformer Jeremy Bentham, the facility’s Bentham House was built in 1958 for the National Union of General and Municipal Workers. Acquired by the school in 1965, it sits next door to the University’s Gideon Schreier Wing. Expanded in the 2000s, the program is known as one of the best in the UK and boasts famous alumnus Mahatma Gandhi. Image SourceOne of the oldest law programs in the country, Canada’s University of Toronto Faculty of Law was founded in 1887, but it was not accredited until the late 1950s. The Flavelle House was constructed in 1902 and left to the University in 1939 houses the Bora Laksin Law Library. The building also has a moot court, student commons area, and classrooms, and plans to renovate and expand the structure are set for the near future. 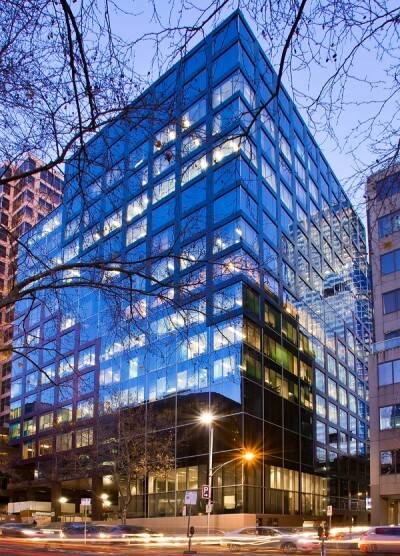 Image SourceLocated in the heart of Melbourne, Monash University Law Chambers is regularly named among the world’s top law schools. The school’s modern and magnificent glass-covered structure offers students and faculty with state-of-the-art offices and lecture halls, as well as small informal meeting areas, and a student lounge. The facility also contains a kitchen and dining facility and small rooms for quiet study, reflection, and meditation. The building also has a large business center for conferences and presentations, and the space can easily be divided into classrooms as needed. Image SourceBuilt by Gunnar Birkets and Associates, the Boyd Law Building at the University of Iowa College of Law was completed in 1986 to accommodate for the program’s rapid growth. Architects used concrete and aluminum to mimic agricultural structures that are prevalent throughout the American Midwest. Inspired by a grain silo, the building includes two trial courtrooms, classrooms, offices for faculty, and a law library. A dramatic example of modern architecture, the light filled interior and large welcoming entrance function as an excellent model for university design. Image SourceFunded partially by students who voted in 1997 to increase tuition payments by $1,000 to finance the project, the Wolf Law Building opened in 2006. 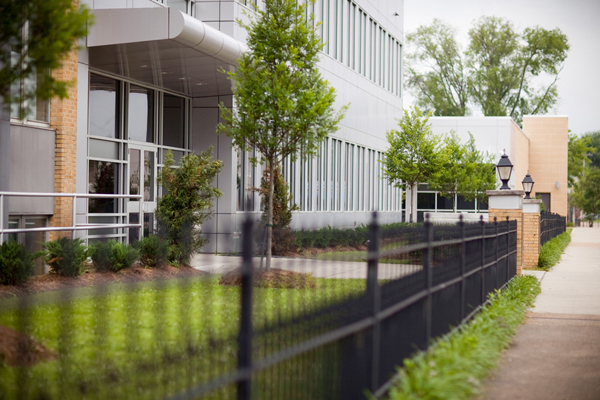 Named for donors Leon and Dora Wolf, the facility achieved LEED Gold certification, and offers technology classrooms with touch-screen control systems. Energy efficient lighting was installed and includes roof top solar panels and an electric car charging station. The building was composed of 59% locally manufactured materials, and the structure houses the William A. Wise Law Library, home to the Rocky Mountain region’s most comprehensive collection of law periodicals and materials. Image SourceOpened in 2011, the Law Court Building at The School of Law, University of Hertfordshire, was designed by RMJM and achieved a BREEAM Excellent rating for energy efficiency. The striking design is predicted to consume 50% less carbon than the previous facility that housed The School of Law, and includes a rainwater harvesting system to aid in energy efficient plumbing. The building includes a full courtroom, a meditation center, classrooms, and roof top solar panels. Designed specifically with sustainability in mind, the Law Court Building functions an intriguing example of the future of modern building, both aesthetically and pragmatically. Image SourcePart of the College of William and Mary, the William and Mary Law School is the second oldest college in the nation. Prestigious and selective, the school is frequently listed as one of the country’s top law schools. Completed in 2007, the Wolf Law Library contains over 400,000 periodicals and includes a rare book room. The library’s reading room is comprised of floor-to-ceiling windows and the library itself contains numerous areas for quiet study and relaxation. Multiple group study rooms encourage dialogue and cooperative communication, and Ping-Pong tables, pool table, and chessboards promote healthy play and fellowship. Image SourceSet to open in Fall 2016, the Arizona Center for Law and Society is a $120 million project designed by a joint venture between Ennead Architects of New York City, and Jones Studio. Relocating the school from its current location in Tempe to downtown Phoenix, the new building will house two levels of underground parking, a Great Hall with a wood ceiling, and multiple open air courtyards. Construction on the 280,000 square foot structure, which is composed of large boxes of glass and metal, is set for July 2014. The Ross-Blakley Law Library will occupy multiple floors of the structure, and a café and school retail space will be located on the 1st floor. Image SourceOpened in 2011, The Liberty Building at the University of Leeds School of Law is a modern architectural masterpiece composed of spun concrete pillars and glass. The building’s highly sustainable design was created by architectural firm Broadway Malyan, and is naturally ventilated and filled with light. Costing £12 million, the new facility was created to house the school’s rapidly growing program, which was founded in 1899. 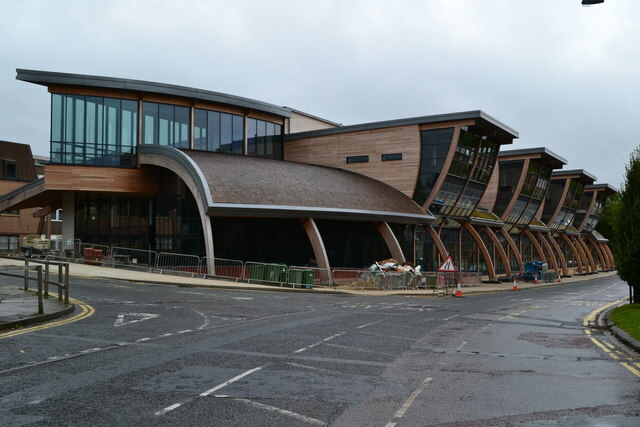 The space is intended to promote legal education and research, as well as Leeds’ desire to advance students’ legal education beyond the classroom and into the community. Image SourceThe Bullocks Wilshire building, and iconic symbol of Los Angeles, was originally built as a luxury department store in 1929. The Art Deco style structure was converted in 1997 to a state-of-the-art library and law school for Southwestern Law School. Designed by Altoon Partners, the renovation maintained many of the building’s period details, while updating renowned architects John and Donald Parkinson’s original design. The update includes garden terraces and floor-to-ceiling windows. Listed on the National Register of Historic Places in 1978, the Bullocks Wilshire also achieved status as a Los Angeles Historic-Cultural Monument. Image SourceLocated in San Diego’s popular East Village, the Thomas Jefferson School of Law offers classrooms with stadium-style seating, smart classrooms, and numerous terraces. Established in 1969, the new campus was completed in 2011, and was designed by Carrier Johnson. Achieving a LEED Gold certification, the school’s sustainability features include roof-mounted solar panels and water efficient landscaping. While excavating the site in 2009, workers uncovered the remains of an ancient mammoth as well as the skeleton of a 500-thousand-year-old Gray Whale. Many of the mammoth bones are on display in the school’s law library. Image SourceFuturistic and splendid, the large modular buildings that comprise The School of Law at the University of Northumbria at Newcastle have already won 20 awards for design and construction. Completed in 2008, the campus includes multiple lecture halls, smart classrooms, and a student lounge. A courtroom and the school’s celebrated Student Law Office are also housed in the newly opened facility. Eco-friendly features include a central shaft through the building, which provides abundant daylight and reduces the building’s need for interior light fixtures. Solar panels were also installed to reduce energy consumption, and common areas promote communication and collaboration. Image SourceTo accommodate for its growing student and faculty population, Durham Law School’s new building and expansion opened with accolades for excellence in sustainable building and educational architecture. The state-of-the-art facility includes a moot court, lecture hall, and work rooms for students. With breathtaking views of Durham Cathedral throughout, the program is currently ranked 4th in the UK, and boasts one of the nation’s best legal research programs. Combining a commitment to excellence in legal education with a nod toward the environment, this structure acts as a model for university buildings across the globe.